We’d love your help. Let us know what’s wrong with this preview of The Sport Process-Paper by Eric Dunning. 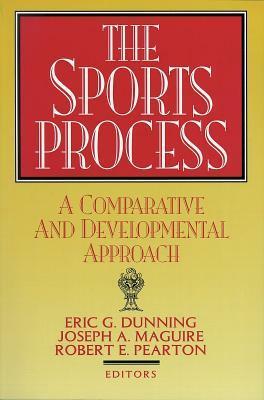 The Sports Process uses a historical/developmental approach to explore the development of sport, its international diffusion, and ongoing changes in sport around the world. -po The Sports Process uses a historical/developmental approach to explore the development of sport, its international diffusion, and ongoing changes in sport around the world. Part I, Perspectives on the Making of Modern Sports, emphasizes the need to study sports not only in one place and time, but as they change and evolve through time. The contributors contend that to understand any sport as it exists today, you must examine the social processes that transformed it from early forms of play into an organized game. Part I looks at these processes over a broad span of time, from ancient civilizations through the Victorian period. Part II examines the diffusion of modern sport from its beginnings in 18th-century England throughout the rest of the world. You'll learn about some of the factors that influenced this diffusion, both outward to other countries and downward within each country from higher to lower social levels. Part III compares sports across modern cultures. The contributors examine how major ideologies of the 20th century--capitalism, socialism, and nationalism--have affected the practice and development of sport in various countries. To ask other readers questions about The Sport Process-Paper, please sign up.